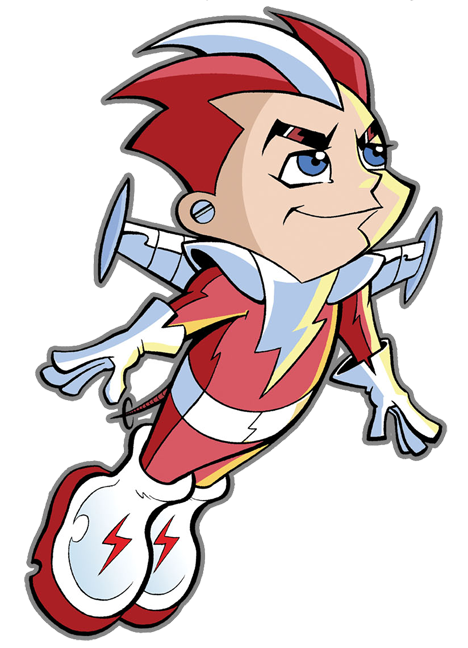 Roboy Red was America’s favorite cartoon character, until he came to life as a real, nuts & bolts boy robot. Now, he runs from the corporation who built him-- a theme park refugee. 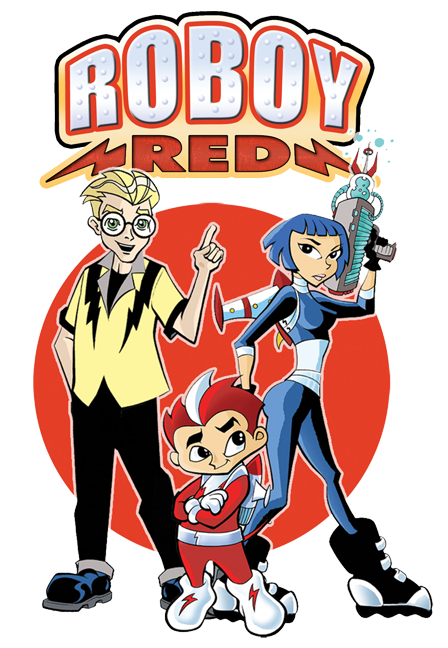 Only with the help of his new friends, Tuck and Dara, can Roboy Red keep ahead of the bad guys, discover the magic of humanity, and understand the mystery that is footy pajamas! Created by cartoon genius Ely Gamsu, Roboy Red cartoons became America’s favorite. Soon, toys, TV shows, and a theme park followed. Battling the dim-witted Gorilla Greene, Roboy’s adventures delighted millions. But the real adventure begins when Gamsu unveils a real robot version of Roboy, programmed with over thirty years of cartoon fun, and all the powers of the fictional Roboy. 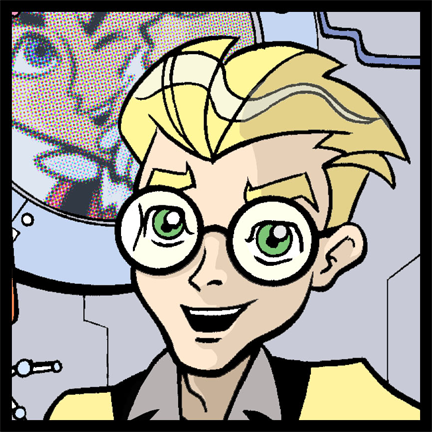 Roboy sees the world through cartoon eyes. 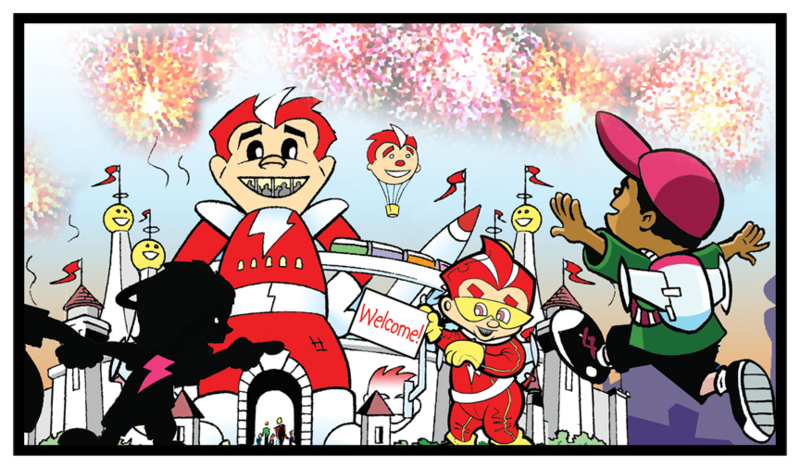 Roboy wants nothing more than to be just your average little boy, and unsuccessfully tries to disguise himself as such-- but few little boys possess built-in jetpacks, travel at super speed, and toast marshmallows with heat vision! Adventurous and impulsive, Dara Dare is jet-fueled attitude in action! She’s the granddaughter of Roboy’s inventor, Ely Gamsu, and the heir to the RoboyLand fortune. She has, through the Gamsu legacy, become Roboy’s big sister. Sometimes an authority figure, but still just a sarcastic teenager with her own limitations, Dara tries to keep Roboy out of trouble, and keep the bad guys away with her patented bubble blaster—and kung fu kicks! best buddy and chief mechanic. Tuck uses his creativity to buildamazing machines and gadgets that make life fun and unique for his friends, and to protect them from those that would hurt Roboy, Dara, or Dr. Gamsu. Yhe elderly cartoonist and studio head who created the cartoon character, Roboy Red. Always a dreamer, Gamsu founded the utopian RoboyLand, and unveiled his biggest creation come to life - a real live Roboy Red. 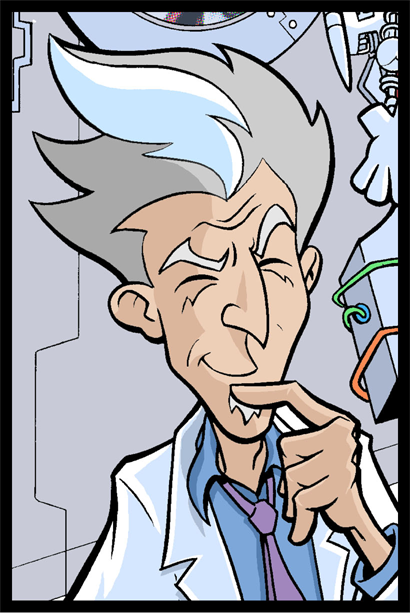 and the only rival in the brains department to Tuck.